Internet marketing is taking the place of traditional marketing. With traditional marketing, you spend a lot before you can successfully market your products or services. You are also restricted to some specific hours of the day. Not only that, you buy a space only to use it to advertise your stuff for a particular period of time. With Internet marketing, all these become easy to accomplish. You don’t have to spend a lot before you can successfully advertise your products and services. 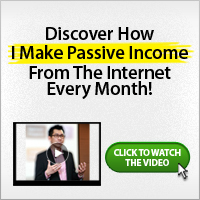 You can do this 24 hours a day and throughout the year without incurring much expenses. One of my duties to bring to you quality information on internet marketing that will lead to your business development and success. Quickly, I will show you some of the most important Internet Marketing Methods you can use to start promoting your products and services. Just like you look for magazines or newspapers to put your advert on, the same way, you can put your advert on your website/blog. If you have your website, put up your advert on it but don’t overdo this. If you don’t have a website/blog, I recommend you start one. And if you don’t want to start one, you can advertise on other people’s blog (mine inclusive). This type of advertising can consist of anything from text link advertising, to banner advertising. Facebook for example, has a great advertising platform. Advertising your product and services on social networks will give you high targeted traffic. With this you can easily convert your traffic to sale. The huge benefit to advertising on social networks is that you can heavily target your ad campaigns to nearly any demographic. 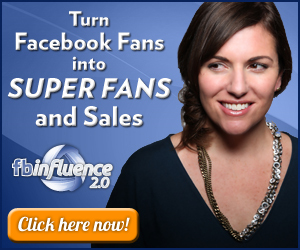 Facebook offers 120×80 images and text advertising. You can make research on other social networks and see how you can effectively advertise on them. You can do you internet marketing through email or mailing lists. To do this, you will need to build a mailing list first. The difference between regular email and advertising and building up a mailing list is crucial. You can send regular emails to people about what you have for sale. Using an email list to do this will be more effective. In the sense that you send your email to many people at once and you can still follow up without much work or time spent. When sending out emails, you are usually sending out solo mailings with just an advertisement to your sites regular visitors who have requested to receive mails from you. In most cases, you are trying to build up a loyal readership and don’t want to spam your readers. The profit in a mailing list is that the readers will keep coming back, and actually enjoy your mailings. Search Engine Marketing is one of the best methods for marketing your stuff on the internet. For example, Google, a search engine gives opportunity for people to advertise on their search engine. This is referred to as Google Adwords. After signing up with Google Adwords and you have created your Ad. Google will show up your ad on the search result when people search for a term that is related to your product/service keyword. Once searchers click your Ad, Google withdraws a certain amount from your Google Adwords account. This is called pay per click. The clicks on your ads on the search engine results to huge traffic for what you have to sell. It is wise to incorporate this internet marketing method in your business plans. Over the past year, pay per view or PPV advertising has grown tremendously. PPV advertising is usually in the form of a pop under window which spawns when the user visits a web site. PPV advertising is very cheap, and can cost lower than a penny per view, but can also send thousands of impressions within minutes. When advertising with pay per view campaigns, you select what interests/web sites you want your popunders to appear on. Please note: the popunders will not disturb your website viewers in any way.